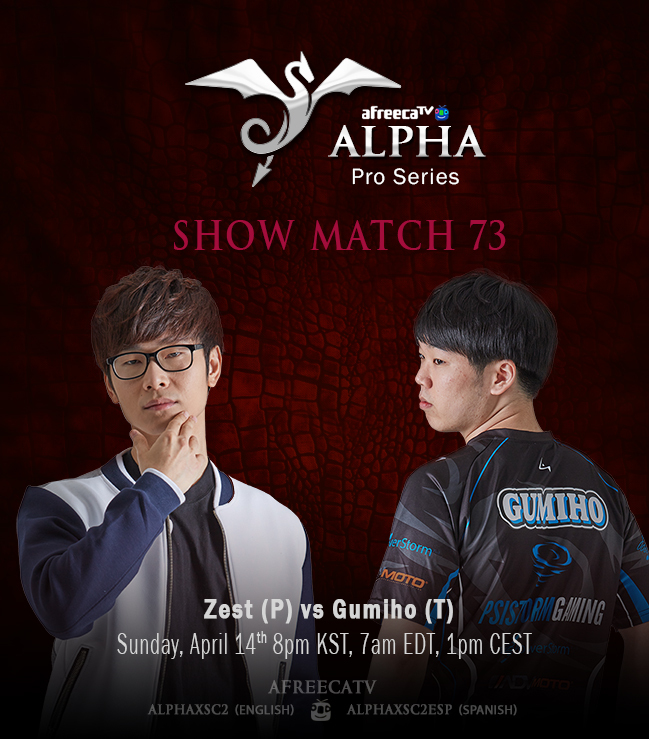 Zest takes on GuMiho in a Bo9 series for $200 largely sponsored by AfreecaTV. The showmatch will take place on Sunday April 14th 8pm KST (1pm CEST, 7am EDT). Come tune in for this awesome PvT series on our English, French and Spanish streams below. This is like right after GSL finals. I guess it's a good thing GSL finals will likely end before this. Ohhhh, another potentially good TvP series after GSL. This one seems a lot more competitive as both players are inconsistent and since it has Gumiho in it, there's always a chance for something epic.